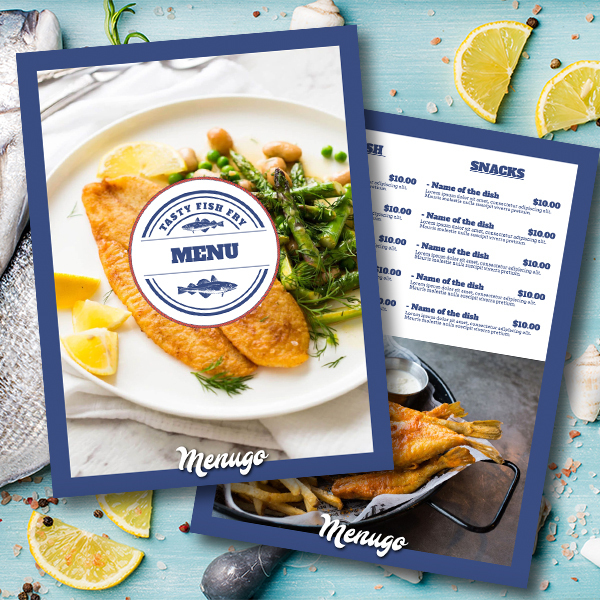 This menu is designed specifically for the delicious, crispy fish fry you serve in your amazing restaurant or eatery. Created in blue with using appetizing photos of dishes. Customize as you wish, use this template in "table top" size for your promotional materials.